You can have it all! Order all our varieties: rocket lettuce, radishes, broccoli, garden cress, red cabbage and mustard – to find out which is your favourite, to have more variety or to give as gifts! 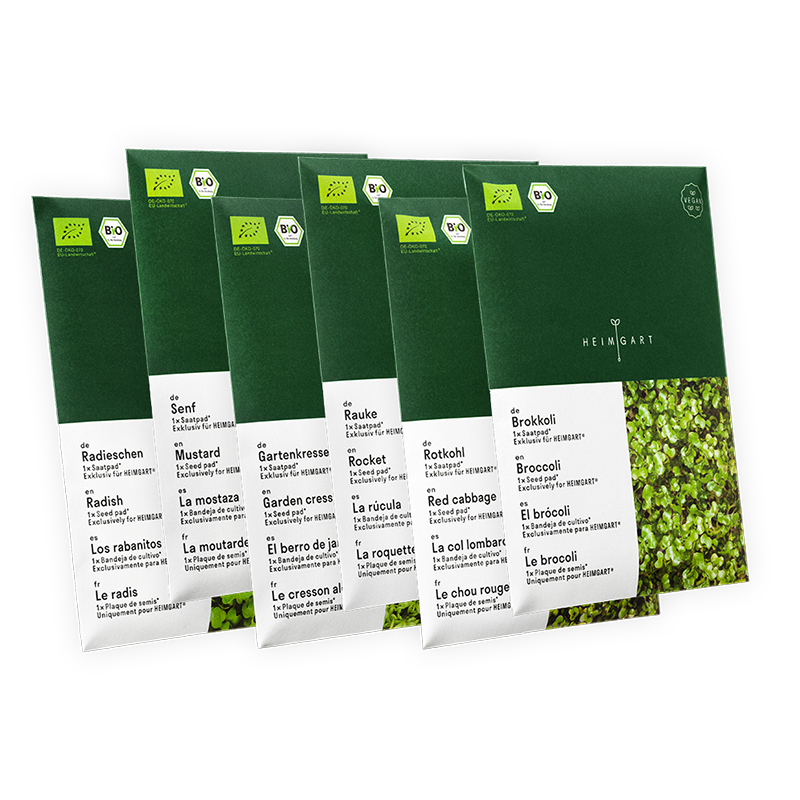 You get one seed pad each for red cabbage microgreens, broccoli microgreens, radish microgreens, mustard microgreens, rocket lettuce microgreens and garden cress microgreens. The crop yield of our microgreens seed pads amounts to 25-40 grams per seed pad depending on the variety. 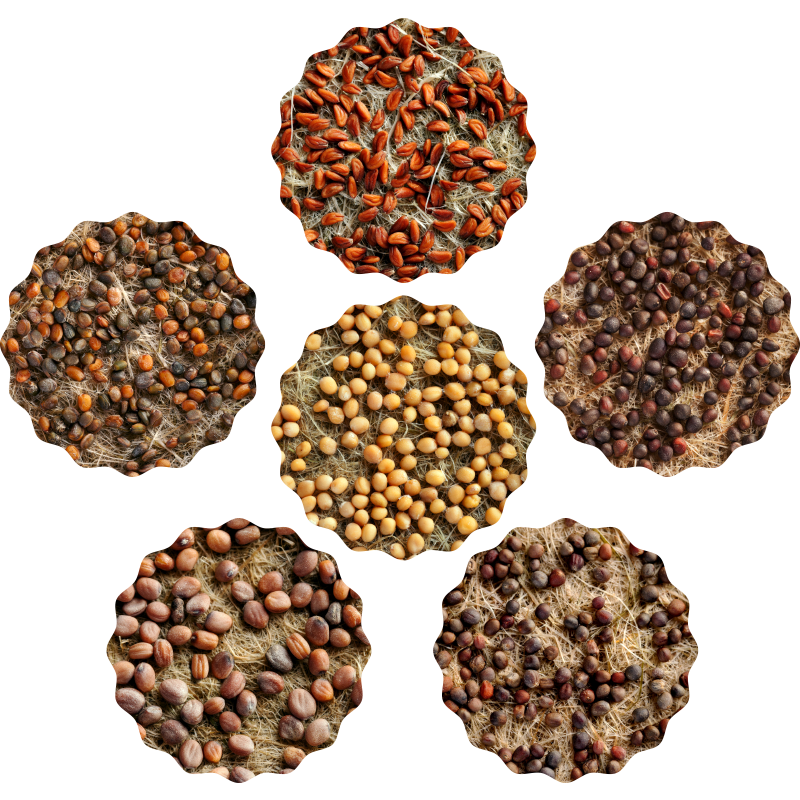 That means one full sprouting bowl filled with 2 seed pads has an average yield of 50-80 grams. Previous studies have shown that microgreens present a higher content of minerals and lower nitrate content than fully-grown plants.